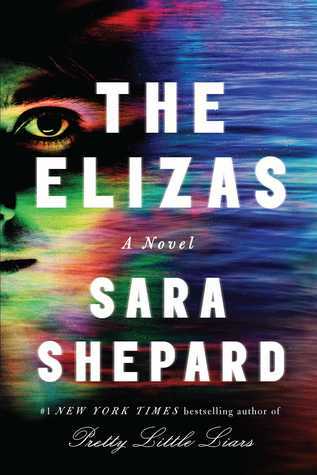 IN A GLANCE: Stupendous and deliciously written! Great books, bloggers, and recipes meet in this second volume of a fresh and unique cookbook that helps you experience books, not just read them. This year's volume features even more tasty reads, recipes and book bloggers. 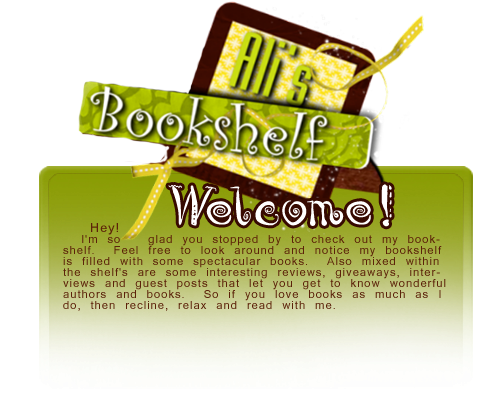 Books were selected from the author’s book review blog and paired with delectable recipes like “Caramel Crack” from Shatter Me, by Tahereh Mafi, "Everliving Soup" from Brodi Ashton's Everneath, and "Jagged Ham" from Elana Johnson's Possession. Mouthwatering photos complement every recipe. 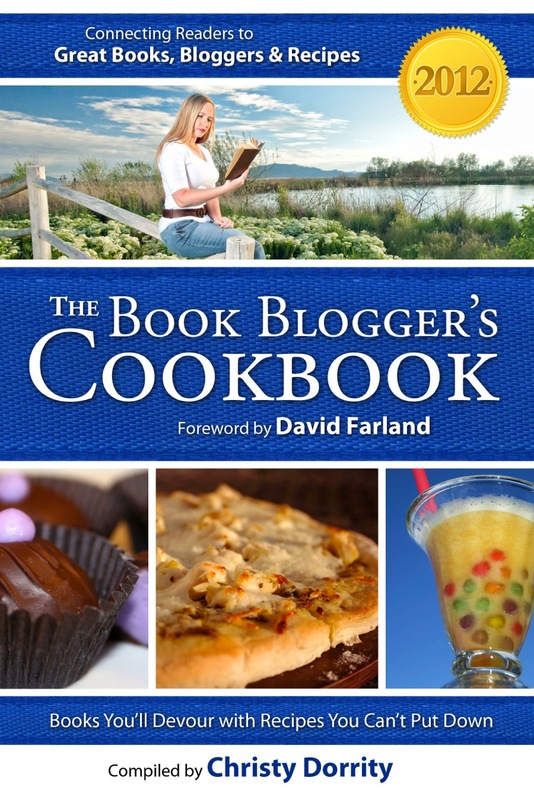 The 2012 Book Blogger’s Cookbook includes a foreword by David Farland, award winning, New York Times Bestselling author, and showcases more than one hundred reviews with links to book review blogs and author websites. Whether you're a food lover, an avid reader or a book blogger, there’s something for you in The 2011 Book Blogger’s Cookbook. "The Book Blogger's Cookbook has the best combination of two of my favorite things: food and books. 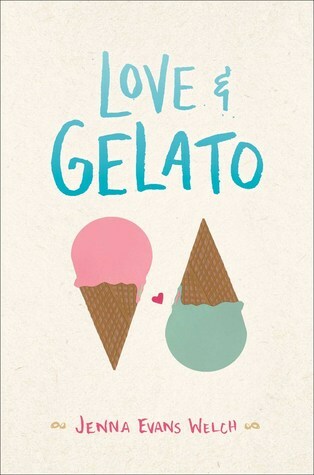 Overall, it's sort of a dream book for readers who love cooking." 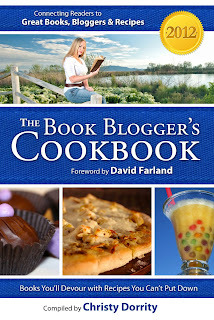 "The 2011 Book Blogger's Cookbook is a beautiful blend of a cookbook about books. It's worth reading straight through if only to find new books to add to your "to-read" shelf." -Lisa Mangum, author of the award winning The Hourglass Door series. "The 2011 Book Blogger's Cookbook is more than a mere cookbook. It contains review bits of bloggers stating what they loved about the featured books. The blogger testaments make you want to read the novels and the photos make your mouth water. Perfect combination!" Seriously what more could you ask for? The 2012 Book Bloggers Cookbook jam packs two of my favorite things food and books. Its perfection! I appositely adored the recipes in this book and of course couldn't get enough of all the books. I love the fact that in this cookbook each recipe goes along with a must read book. I really enjoyed the matching of each recipe to each book and the titles of the recipes fitting each one perfectly. In this years cookbook Christy has chosen 22 amazing books to pair up with a recipe. Ones that just reading the ingredients had my mouth watering. I'm going to be making Everling soup tomorrow night for dinner and I'm so excited about it. (I'll make sure to post pics right here on the blog for you all to see how it turns out!) I can't wait to try each and everyone of these great recipes out for myself. I was so excited when this amazing author came to me and asked me to be part of the tour for her cookbook and so extremely excited to see the couple words I sent her about Everneath actually in the book. All the pictures look so good in this book and the recipes look pretty simple to me. I like that about a great cookbook, if its simple I love it! I love the explanations about how each book fits each recipe and how the books inspired each one. I also really loved how Christy fit the amazing top selling YA books and mixed in some of the less known ones as well. 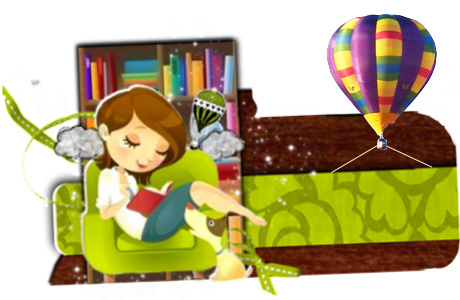 Anyone that loves books and food, this is the perfect fit for you! Checking this book out is a definite must read! 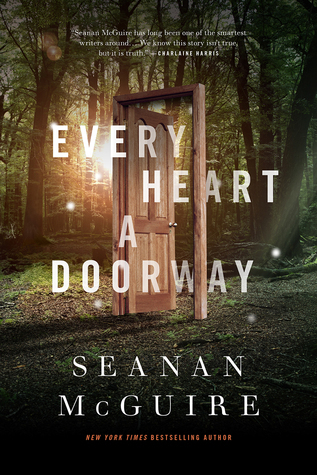 Guest Post, Author Bio and Giveaway!!! Ali's Book Club: Check In!!! Feature and Follow Friday...Featuring ME!!! To Be Read list for May 2012!! !